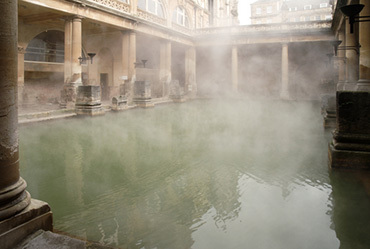 The desire to cleanse, purify and enjoy steam in a communal setting stretches back as far as the Bronze Age. Ruins of the earliest public baths were found in the ancient Indus Valley Civilization (currently Pakistan and India). Steam bathing has always been a place to meet and socialize, relax and leave behind the stress of the day – whether that be in the thermae of ancient Rome, the sweat lodges of the Native Americans, or the spring-fed onsen of the Japanese. Our contemporary need to find a tranquil escape in steam has extensive and long-standing roots. The Greeks and Romans took their public responsibilities seriously – and this included providing ornate bathing facilities for their citizens. Bathing in Greece started from simple basins where young athletes splashed their bodies after exercise, evolving to gymnasia, where marble-mouthed lions poured down streams of water, and tranquil pools gave young men a place to relax and discuss the budding philosophy of the day. Homer described hot water tubs and hot-air baths, heated either by coal burning fires or by heated rocks. Bathing became a ritual that included cleansing sands, hot water, hot air in dark vaulted “vapor baths,” a cooling plunge, and a rubdown with aromatic oils. The Roman Emperors, never content with merely copying the Greeks, competed with one another to create thermae – taken from the Greek word for “heat” – bigger and better bathing houses with each new generation. Thermae became the pleasure hub of the Romans, complete with sports halls, restaurants, and, of course, a multitude of luxurious baths. Utilizing the bread and circus mentality that the populace was best served when they could afford the pleasures of the Empire, these enormous complexes either charged minimal fees or were actually free to all. Far from the bustle of the Roman Empire, the Japanese have enjoyed their hot springs since 1,000 CE. Fed by the fuel of active volcanos, thousands of these hot water springs are widespread throughout the islands. 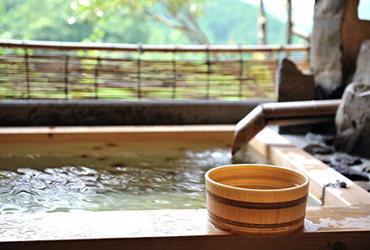 Onsen (the Japanese word for hot springs) were traditionally located outside. Men and women enjoyed the baths together until the late 1800s, when the West brought more puritanical views to Japan. But mixed bathing continues to be the norm in rural areas of the country. The springs that feed onsen are rich in minerals and are said to aid healing. Bathhouses around the country feature different healing properties, bolstered by the varying chemical composition of their natural waters. A world away from the tranquil Japanese bathhouses, the Native Americans – as far north as the Inuit of Alaska and as far south as the Mayan and Aztec cultures – used sweat lodges to cure illness, revive tired muscles, and purify the body. 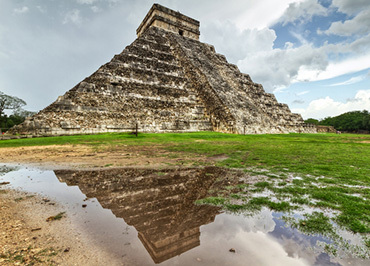 Some of the earliest sweat houses were those of the Aztecs. Archeologists have found ruins of temazcalli created during the same era as the Roman Empire. These sweat houses were small rooms resembling a cookhouse, allowing a small number of bathers inside, producing sweat by a furnace of stone or bricks, followed by a shower of cold water. In addition to curing illness, women commonly used the temazcalli after childbirth. 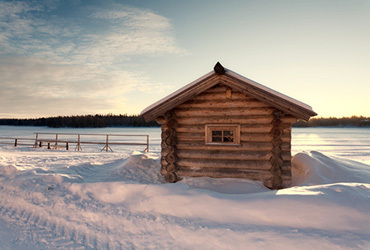 Many of the first American settlers wrote about the curative use of sweat lodges. But because they were part of local religious ritual, missionaries saw them as a threat and forced the Native Americans to stop using them, interrupting a tradition that was more than a thousand years old. The prophet Muhammed himself enthusiastically recommended sweat baths around 600 AD, helping to spread the hammam tradition throughout the Middle East. 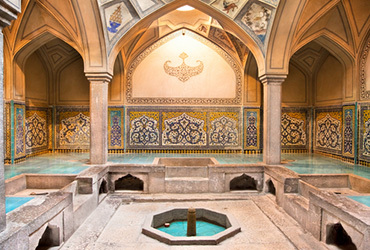 The hammam merges the functionality and architecture of the Romanthermae and baths along with the Central Asian tradition of steam bathing, ritual cleansing and deep-rooted respect of water. Like the Roman baths, the hammam became a social center – easily affordable and open at all hours. Even wealthy patrons frequented the public hammam to show their public spirit. 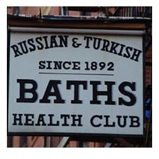 Many were patrons of the bathhouses, which often donated proceeds to charity. And if you needed some form of ritual cleansing – before wearing new clothes, following a journey from home, upon rising from a sickbed, or after you were released from prison – you would head to the hammam. The earliest description of the Eastern European banya, or steam bath, comes from 1113, when the Apostle Andrew visited the region. He wrote of the small, wooden bathhouses which the Slavs would heat, and how, after sitting in the heat and lashing their bodies with switches, they would douse themselves in cold water. In the southwest, the baths were built after the Islamic and Roman models. Portable sweat baths were used by the nomads of central and eastern Russia, resembling the sweat lodges of the Native Americans. Sweat bathing has always been popular in Eastern Europe, and even in areas where wood is scarce, such as the snowy reaches of Siberia, banya are built from turf or clay. Sweating and health go hand-in-hand in Eastern Europe, where folk medicine continues to advocate the healthful properties of the sweat bath. In Iceland, the natural hot springs have always been lauded for their medicinal characteristics and the sense of relaxation they impart. Today, in addition to providing free electrical power for the entire country, Iceland’s natural hot springs have become a popular tourist destination. As new immigrants came to the United States, they brought their steam bath traditions with them. Cities such as New York, Chicago – even Toronto – boasted Turkish and Russian steam rooms, where men gathered not merely to have a “shvitz” but also to socialize, relax, and leave the stress of the day behind – just as generations of steam bathers have done before them. Now you can enjoy this long-standing tradition – one that stretches all the way back to the Bronze Age. There’s clearly a reason why people gathered to commune and unwind in steam baths throughout time, all over the globe. Experience the reasons why yourself in the comfort of your own home – Experience MrSteam!